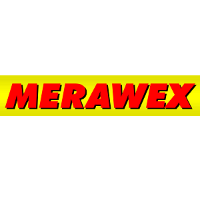 MERAWEX founded in 1989. Since the very beginning of its economic activity it operates within the field of design and manufacturing of switching power supplies and uninterruptible power systems. Specializing in Configurable power supplies for industrial automation, Versatile modular power supplies CAMELEON are a family of products with a unified design, envisaged for easy addition of supplementary functions. Power of 150 - 600W, basic voltage versions: 12, 24, 48, 110 and 220V (DC), other voltages on request. 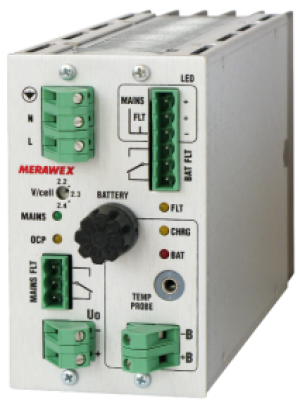 Examples of additional functions: battery power supply with a temperature probe and battery disconnect device, dedicated algorithms for battery charging and monitoring, parallel operation, additional indications, different voltage outputs, digital communication. By default they are dedicated for mounting inside other devices, on a TS 35 rail or in a cassette, while power supply stations CAMELEON BOX are offered as wall boxes with space provided for batteries.